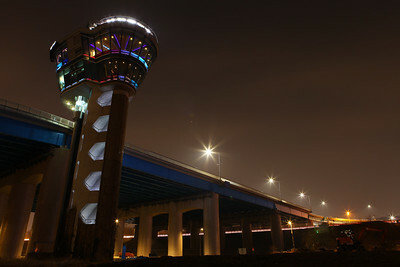 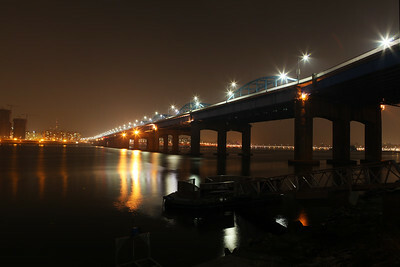 This is the Noeul Café on the Dongjak Bridge which spans the Han River. 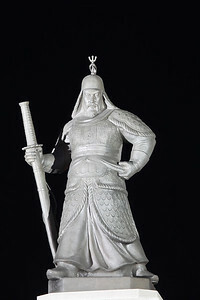 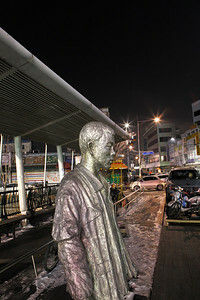 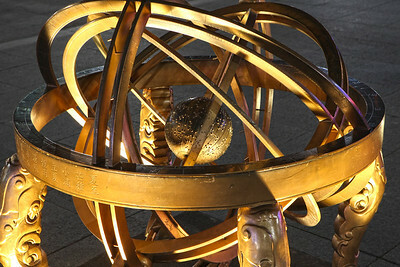 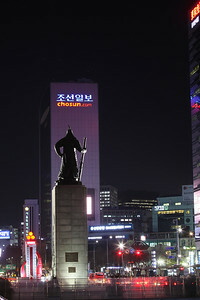 You can access it from the Seoul Subway Line 4. 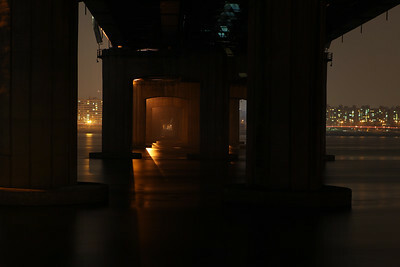 This is an eerie view under the Dongjak Bridge looking north across the Han River in Seoul. 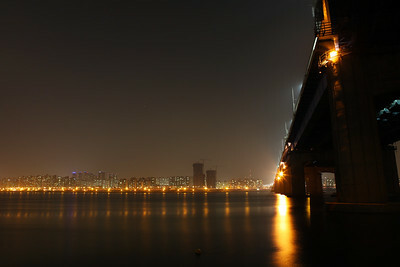 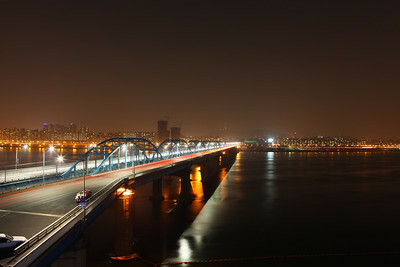 Looking north across the Han River next to the Dongjak Bridge. 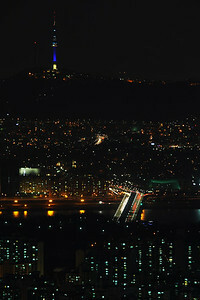 If you look closely you can see the Seoul Tower. 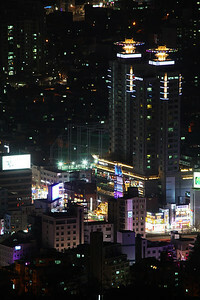 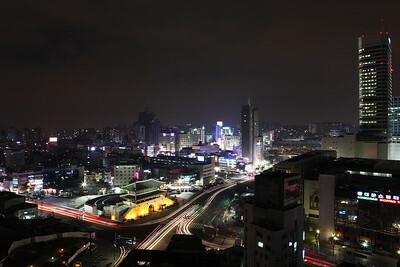 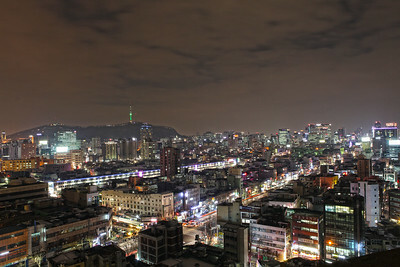 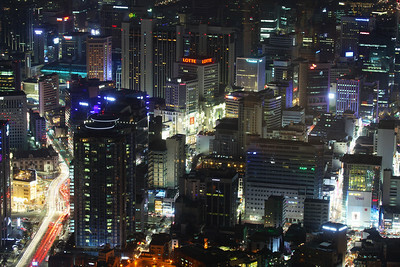 This is a view from the top floor of the Gureum Café. 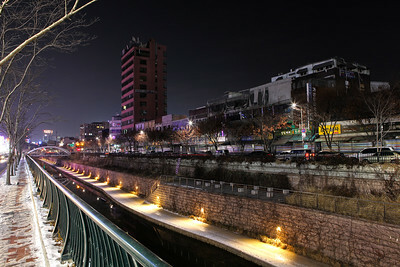 Gureum Café is the cafe on the east side of the Dongjak bridge. 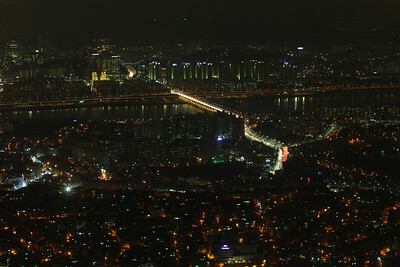 From here you can look north over the Han River toward Seoul Tower. 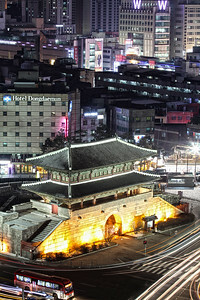 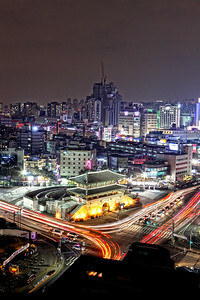 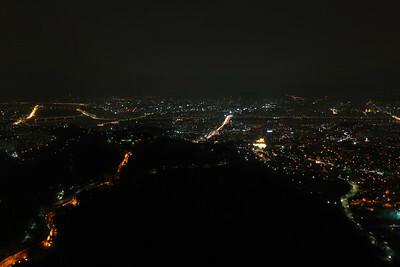 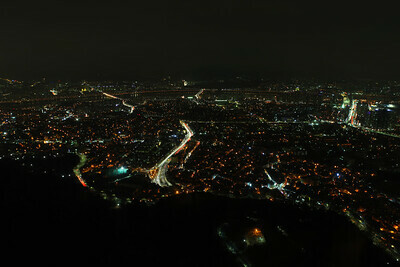 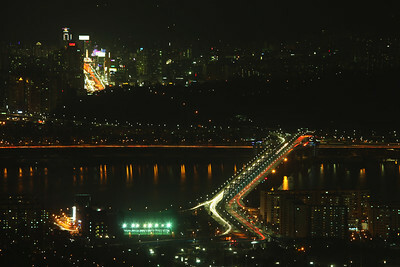 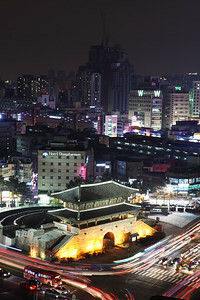 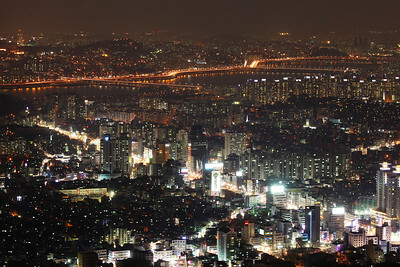 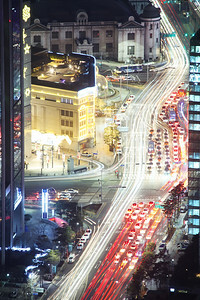 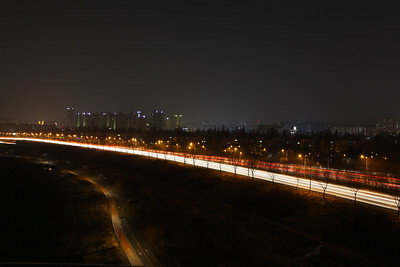 This is the Olympic Highway from the Gureum Café on the Dongjak Bridge looking east. 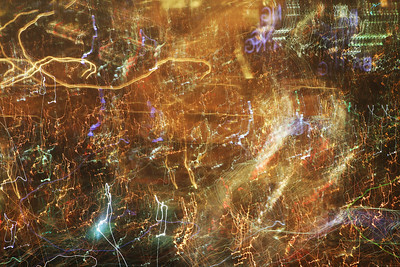 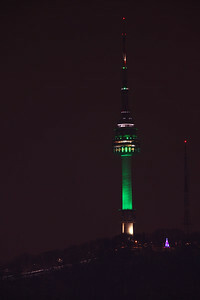 New Years Eve 2013-2014 in Gangnam. 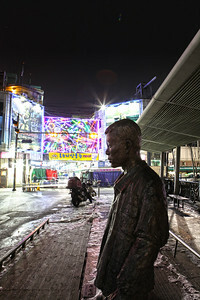 You can see the wish balls in the background. 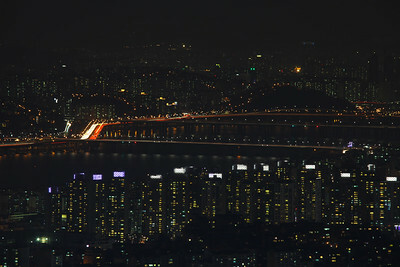 Seoul Tower also called Namsan Tower with the Dongjak Bridge in the foreground. 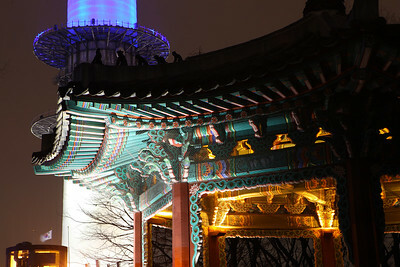 Dongdaemun Gate or "The Great Eastern Gate"
The Seoul Tower, or some still call it the Namsan Tower. 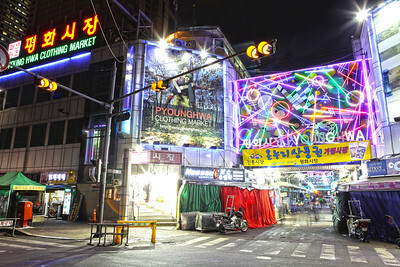 The Pyoungwha Clothing Market opens at 10 pm and is open all night. 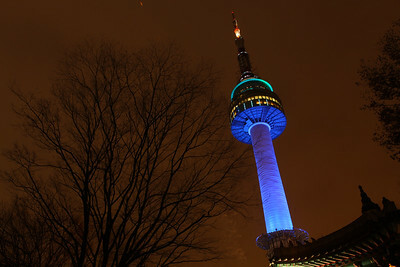 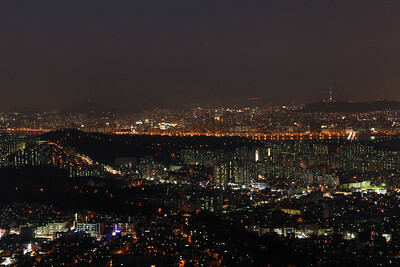 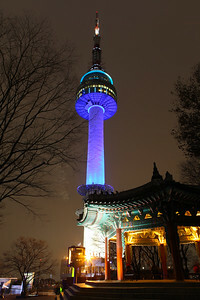 Looking toward the Seoul Tower from a high vantage point. 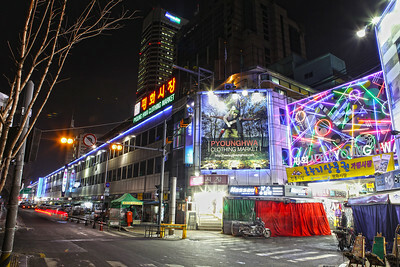 The Pyounghwa Clothing Market opens at 10 pm and is open all night. 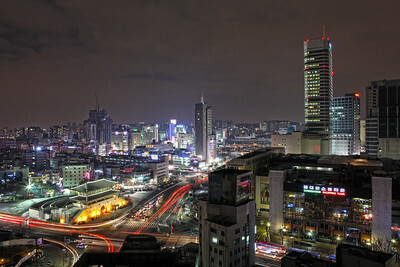 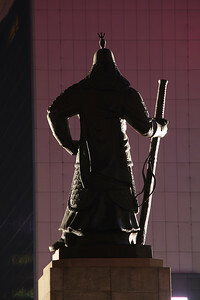 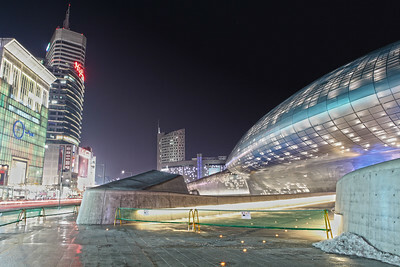 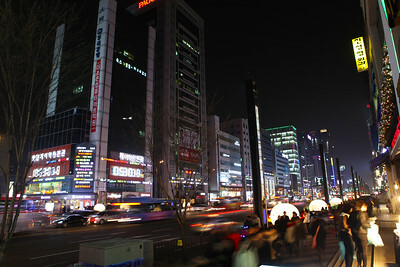 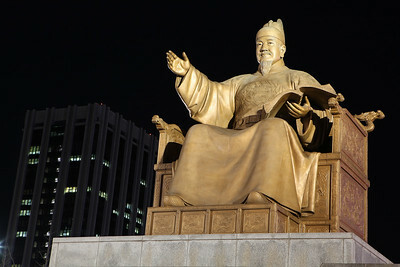 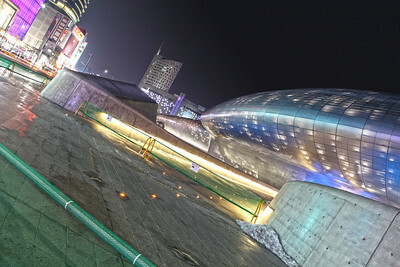 This is the Dongdaemun History & Culture Park. 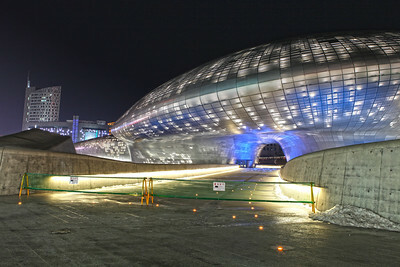 It's not open yet but will be soon. 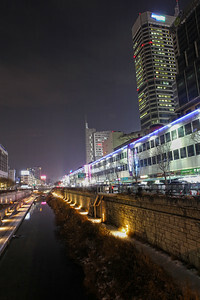 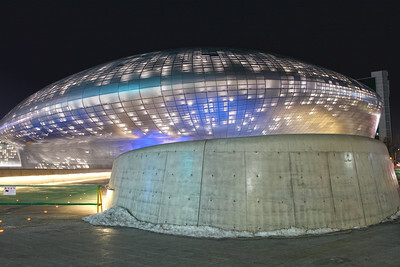 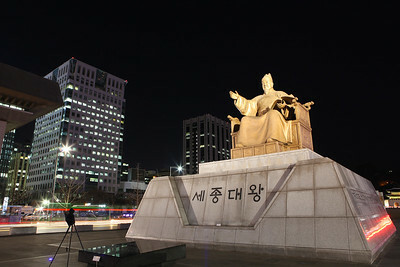 This is the Dongdaemun History & Culture Park.